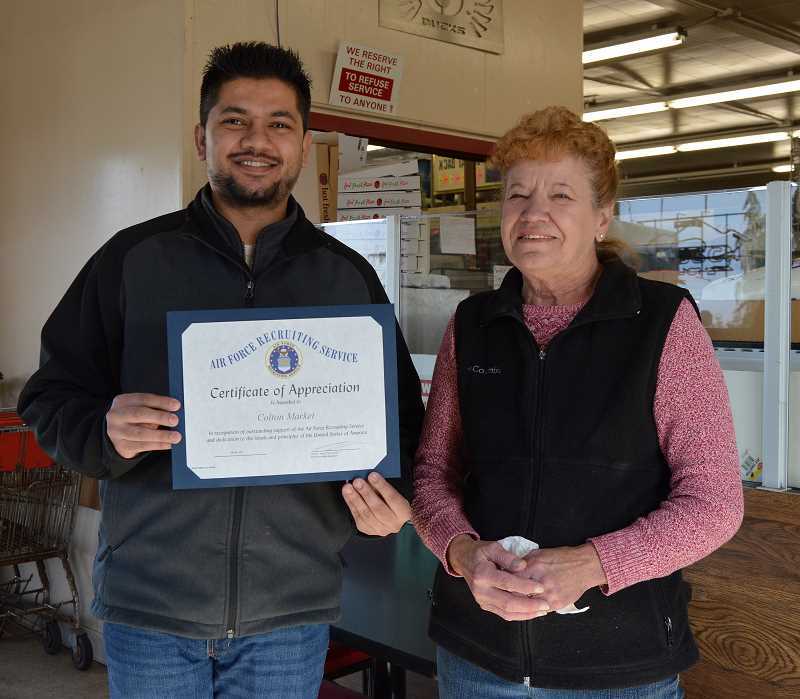 On Nov. 13, Abdul Saleem and the Colton Market received a Certificate of Appreciation from the Air Force Recruiting Service. When asked why they were given the honor, Saleem said he gives space on the tables at the front of the café for information from the different branches of the military. He said he gets a chance to talk to the recruiters when they stop by the market and has learned about them, their families and what the military offers recruits. Abdul went on with the story, explaining how it impacts the kids who come into the market before and after school. "Some of these kids don't have a great home life and I listen to them. I get their back stories," Saleem said. "Sometimes when I ask about their futures and they say they have no plans, I point out the information on the tables. I tell them in the military they will learn discipline. They will have food and clothes and a place to live. They will learn how to work and will have good job opportunities when they come home." Saleem said a couple of his "store kids" have gone on to the military.